Tamsin Ash comes from a background in advertising and media. Due to on-going back pain and continued stress from the high demands of her job, Tamsin found yoga in 2008. 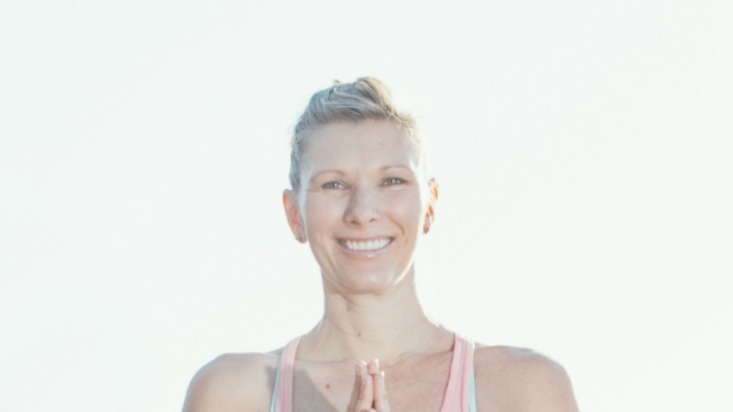 First stepping into the Power Living studio in Manly in 2010, Tamsin discovered a challenging and energetic practice as well as a fun and welcoming community and quickly became a regular at the studio. Tamsin found that her practice allowed her to work on her physical and mental well being, whilst building inner and outer strength to help her deal with all aspects of her life. Tamsin’s passion for yoga continued to grow and in 2013 she completed her 200 hour teacher training with Power Living and went on to continue her studies with Baron Baptiste in 2014. Through her teaching, Tamsin is dedicated to sharing her passion and experiences to inspire and help others. She has now left her corporate life to make yoga her full time focus. Frog pose – this is the first pose that I remember really being challenged in when I first started yoga. Now I can go into the pose and hold it much easier, but I will always remember that emotional experience. Cicadas – they are the sound of summer!